First off, I want to clarify that I am not sponsored by or affiliated with Aldi. But man, I wish I was! I just truly love their products and want to share about their incredible prices in order to help you all out. All my fellow Aldi shoppers out there already understand why I love this place so dearly. Ethan and I are still pretty newly married, which means he is still adjusting to my inherent need to keep the fridge, freezer and pantry fully stocked 24/7. In an effort to prevent him from having a heart attack from grocery bills, we started going to Aldi shortly after we got married. Little did I know, it would quickly become the place where we do 90% of our grocery shopping. Not only are the prices at Aldi unbeatable, but they have so many products that are absolutely dietitian approved. Since I’m raving about this place on Instagram all the time, I thought I would let you know which Aldi items are my favorites so you can keep an eye out on your next trip. I have gotten several messages asking whether or not the produce at Aldi is organic. The answer is yes and no. They do have a ton of organic items throughout the store, including the produce section, but they also have some conventionally grown produce as well. I personally do not eat 100% organic, mostly because I can’t afford to and I do my best to wash my produce as well as possible. However, Aldi has made it a lot easier to incorporate more organic items into my diet at an affordable price. If eating 100% organic is non-negotiable for you, I completely respect that. You will still be able to find a ton of great stuff at Aldi, likely for half the price of organic products that you will find at other natural food stores. For example, I got a 16 oz bag of organic quinoa at Aldi for less than four dollars. I’m pretty sure that would’ve been closer to $10 anywhere else. Avocados at Aldi are around $0.50 cents each. At some stores you will pay close to $3 for just ONE avocado. These prices are nuts, and the quality is absolutely worth the hype. I also want to point out that these items might not be available at every Aldi location, as they all seem to be a little bit different. The one that we go to most often is very new, and has a better selection than most. If any of the items on this list are not at your Aldi location, you should let them know you’d like to see it and maybe they’ll add it to that store! I’m going to separate my favorite Aldi finds into categories to make it easier for you to navigate. You can’t beat just plain old greens. I love using baby spinach as the base on our weekly flatbreads, and for salads throughout the week. This organic spring mix is HUGE and only $3.49, which is definitely cheaper than most other stores. I love using spring mix in salads too, especially topped with salmon, strawberries, feta cheese, pumpkin seeds and balsamic vinegar! It’s also great to throw on sandwiches and wraps. I get a 3-pack of these multi-colored bell peppers every week, and usually cut some up for veggie flatbreads, and then freeze the other half, or try to use them up in other recipes. Other ways to repurpose them: egg omelets, chicken fajitas, cut them into raw strips to dip into hummus, and more! I don’t feature much fruit in this post because Ethan & I don’t eat a ton of fresh fruit unfortunately, but they do have a ton available. These bananas are only $0.44 per pound. Bananas are definitely the most popular fruit we buy, but we love using frozen berries for other things, which is shown later in the frozen section of this post! I love adding red onions to our flatbreads too, but they also make a great topping to any type of soup/chili, Mexican dishes, and I love adding them to my eggs! It’s incredible to me that you can buy 2 whole pounds of them for only $1.49. 3 lbs of sweet potatoes for $1.49!!! I love sweet potatoes in many ways, but my favorite is simply roasting them after seasoning with extra virgin olive oil and cinnamon. Try my Mexi-Veggie Stuffed Sweet Potato or 3-Ingredient Sweet Potato Fries! As I mentioned, avocados for just $0.59 cents each! You can buy them individually, or purchase a 4-pack of organic avocados, pictured below, for $4.99. I love adding avocado to chili, tacos, anything Mexican, and eggs/toast! Some people will tell you that you can’t or shouldn’t eat bread. Unless you have celiac disease or a legitimate gluten intolerance, that just isn’t true. I don’t recommend eating it for every single meal by any means, but it can definitely be included in a healthy, well-balanced diet! However, I do encourage choosing whole grains whenever possible since they are higher in fiber and more nutrient-dense overall! Here are some of my go-to grains at Aldi. We have always loved using Flat Out brand for our flatbreads, but we have almost completely transitioned to these ever since we discovered them at Aldi. They are cheaper and almost identical ingredient and nutrition-wise. Only 100 calories each and 100% whole grain! Click here if you haven’t tried my flatbreads yet! Sometimes I like to use these 100% whole wheat tortillas to make a breakfast burrito with a couple eggs and veggies, or a lunch wrap using a veggie burger, hummus and baby spinach inside. Here is the organic quinoa I mentioned earlier. Regularly $3.49, on sale for $2.99. Amazing! Quinoa is super versatile, and a great thing to keep in your pantry at all times. It’s a complete protein, which is rare for grains, and it’s really tasty. Again, we like bread. Nothing wrong with that! Sometimes we like to make French toast topped with berries on the weekends, peanut butter and banana toast, and Ethan loves grilled cheese sandwiches. We have liked using this Aldi brand 100% whole wheat bread for just 70 calories a slice and $1.49 per loaf. Sometimes it’s nice to have bread in a different form. Right? These are identical to Sandwich Thins, and we love using them for breakfast sandwiches, or turkey sandwiches for Ethan’s lunch. We also use them as “buns” whenever we make turkey or veggie burgers! For reference, Sandwich Thins are almost $3 at Walmart, and probably even more expensive at other stores. I have actually never tried these before because I just discovered them on my last trip! They appear to be identical to the Quaker 3-Minute Steel-Cut Oats that I usually eat for breakfast. I prefer steel-cut oats over quick or old-fashioned oats because the texture is way better (in my opinion), so I was super excited to find these. Regular steel-cut oats take forever to cook, which is why I love the 3-minute version. I’ll let you know how they are! This carton was only $2.29 and will last me a long time. 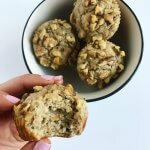 I love keeping a big carton of plain oats around because they are perfect for recipes, such as my Flourless Banana Nut Muffins, or No-Bake Energy Bites! Also, if you like oatmeal, I recommend choosing plain cartons like this rather than packets of oatmeal, as it will save you a lot of added sugar and sodium. You can easily flavor it up yourself using fresh or frozen fruit, cinnamon, nut butter, dried cranberries, a little bit of honey, nuts/seeds, etc! Again, if you don’t tolerate dairy or don’t eat it for whatever reason, just skip past this section. However, my husband and I love dairy, and eat it quite often, as it is delicious and a good source of protein and calcium. String cheese is one of our all-time favorite snacks! And you already know how much we love pizza… ? I know that hummus isn’t dairy, but it fit in with the other refrigerated items nicely, so here it is. Plain Greek yogurt tub: only $3.49, which we love to use in place of sour cream in a variety of recipes. I also add it to my smoothies for some extra protein. They have several options for string cheese (and sliced/block cheeses), but we like the Fit & Active Low-Moisture Part-Skim String Cheese pictured here. 1% milk is our milk of choice, but I’ve also gotten unsweetened almond milk from Aldi that I really liked! I just forgot to take a picture of it. Reduced-fat Feta cheese is our favorite thing to sprinkle on salads. Hummus is great as a spread or to snack on with whole grain crackers, baby carrots or bell pepper strips. They have a lot of flavor options available, and as you can see, it’s very reasonably priced compared to some of the name brands at other stores. These nut mixes are THE BEST healthy snack and the price is awesome. I go for the unsalted kind to save on sodium. Nuts tend to be expensive, but $12.99 for that huge container isn’t bad at all. 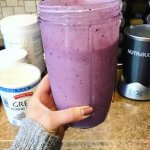 I love to use these mixes to make my healthy homemade trail mix over and over again! Aldi has several types of organic salsa for just $2.29, and they are all TO DIE FOR, including this Chipotle & Lime flavor. There is also a really yummy Double Fire Roasted flavor if you love spicy things like me! You can’t beat plain old beans! These organic black beans are only $0.89 cents each. I wish they were low-sodium or “no-salt-added” but unfortunately they don’t have those at Aldi. I just make sure to rinse them off really well to get rid of some of the sodium. They also have a TON of other canned beans and veggies available at awesome prices. Yes, Aldi even carries La Croix sparkling water! They have pretty much every flavor you could ever want. I think the price is fairly comparable to what you’d find at other stores. This is a great price for a large bag of chia seeds. Chia seeds contain heart healthy omega-3 fats, and you can easily toss them in cereal, oatmeal, yogurt, muffins and smoothies to increase your omega-3 intake! They are also an “excellent source of fiber”, and have 6 g protein per serving! More omega-3s! Walnuts are typically pretty expensive, as are most nuts, but this isn’t a bad price for a good-sized bag of them. I like to add walnuts to muffins, trail mix, and oatmeal for some crunch and healthy fats. I try to use my Mr. Misto oil sprayer as often as possible, but sometimes it doesn’t do as good of a job with the non-stick part, so I have been picking this up at Aldi lately. It is organic and propellant free, and has a really good sprayer to coat pans and baking sheets before cooking. For comparison sake, other organic, propellant free cooking sprays are usually around $5-6. I actually have never tried this, and I get my organic EVOO at Costco in bulk, but this was the first time I saw this product and was somewhat intrigued by it. The price is pretty good for an organic EVOO, and the mediterranean flavor sounds interesting! Something that I love but haven’t made in far too long is chicken salad! Canned chicken is perfect for it, and a variety of other dishes. Head to my lunch & dinner recipes page for the healthy chicken salad recipe! It’s great for work lunches all week long. Canned tuna is another really good and convenient protein option. I didn’t grow up eating tuna, so I haven’t eaten it much in my lifetime, but I know Ethan loves it, so tuna salad is on my list of things to make! I was pumped to find these cans for only $0.89 each. If you have any amazing tuna salad recipes, send them my way! I love using this Organic Low Sodium Chicken Broth for soups and crockpot meals! It’s only $1.89 and it’s pretty large, so it can often be used in two different recipes as long as you refrigerate it after opening and use within a couple weeks! They have a ton of spices and they are only $1.19, which is amazing, since spices typically last a while. As you can see, they have most of your basic spices, but not everything you might need. I talked about my obsession for jars of minced garlic in my recent Spicy Salmon & Broccoli Quinoa Bowl post, and I am so pumped that Aldi has them for super cheap! Having minced garlic is such a time saver when you’re feeling lazy, which is um, all the time for most of us, right? I think that fresh cracked pepper is SO much tastier than boring old normal pepper. I always use fresh cracked pepper on everything, especially roasted veggies, and it’s the best. 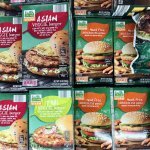 I am not a huge meat eater, and thankfully Ethan is okay with that, so I haven’t tried a ton of the meat that they have available at Aldi, but here are a few of my favorites. I know they have a ton of other things to offer in the meat section that I should probably try too! No, these eggs are not organic, cage-free, vegetarian-fed and all of that stuff. But, they are $1.14 per dozen vs. $7. I have always been very pleased with the quality of the meat at Aldi. This chicken is similar to Smart Chicken or other nicer brands of chicken you’d find at the grocery store. It’s antibiotic-free, hormone-free, vegetarian-fed, salt free, and has very little fat to cut off. We obviously use chicken for a variety of things, like this Crockpot White Chicken Chili, and Chicken Enchilada Bake. Sometimes it’s nice to mix things up and use something besides chicken, so that’s where ground turkey comes in handy. I wish this was a little leaner (it’s 93% lean, and I would typically buy 99% lean), but it’s still good! We have used ground turkey for tacos before, but my favorite way we’ve used it was in a SkinnyTaste Turkey Pumpkin Chili recipe that we made several times this fall. It quickly became one of my favorites! They have tons of frozen fruit, which I like to keep on hand at all times for smoothies and to throw in my oatmeal. They also have multiple organic options. We typically go for the frozen strawberries and blueberries, but we also have bags of mango chunks and mixed berries! The whole kernel corn is a nice staple to keep in the freezer for recipes and was less than $1. The FUSIA Stir Fry mixes are AMAZING! This Oriental Stir Fry has a ton of delish Asian-style veggies and a sauce packet, and I like to add some cooked shrimp and quinoa to make a nice, balanced dinner! They also have a Teriyaki Stir Fry that has egg noodles in it. Super tasty and perfect for quick, weeknight meals. I absolutely LOVE these turkey burgers. 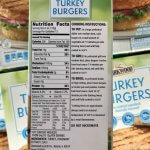 These are only $5.99 for 12 burgers and the only ingredients are turkey, rosemary extract, and salt. That’s it! They are super tasty, and as I mentioned before, we love eating them on sandwich thins. If you follow me, you know I looooove shrimp! It’s such a good source of protein and a fun way to switch things up. Also, frozen shrimp thaws so quickly which is nice for weeknight dinners, such as Cauliflower Fried Rice or Cheesy Broccoli and Shrimp-Stuffed Spaghetti Squash. 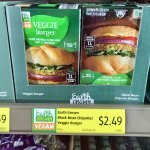 I really like the veggie burgers pictured on the left to throw in wraps (like the whole wheat ones in the grains section), and they just got a ton of new Earth Grown veggie burgers on the right. They look super similar to all of the Morning Star and Boca products at other stores, but much cheaper. I’ve never tried most of them but I’m anxious to! However, I have tried the Earth Grown Black Bean burgers before and I personally don’t like them. I much prefer the Morning Star black bean burgers. Now that you know all of my favorite products, here are some of the delicious meals you can make with them! Skinny Taste Turkey Pumpkin Chili mentioned previously, using the lean ground turkey, avocado, tortilla chips, Great Northern beans, Mexican shredded cheese, salsa and plain Greek yogurt — all from Aldi! Frozen turkey burger cooked on the grill on top of a Sandwich Skinny, slice of pepperjack cheese, spring mix, roasted sweet potato fries and Brussels sprouts. 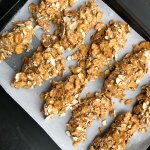 My Healthy Homemade Trail Mix that I make using the Aldi roasted nut mix! Delicious party tray made with all Aldi products — they have a ton of block cheeses, baby bell peppers, fresh strawberries and grapes, cucumbers and a variety of whole grain crackers. Here’s an example of a smoothie I’ll make using the frozen fruit from Aldi. I always freeze any bananas we don’t use instead of throwing them away, and then toss them in smoothies along with strawberries, blueberries and mango chunks! Other smoothie additions that I love: Further Food Collagen (this is an affiliate link; discount code is wellnessforthewin), Greek yogurt and protein powder. We love making French toast on the weekends using the 100% whole wheat bread and frozen strawberries and blueberries! Ethan and I typically end up spending around $60 a week on groceries at Aldi, which is pretty amazing, considering the amount of items we are able to buy for that price. 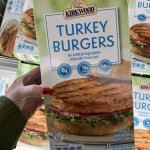 If you have not yet checked out Aldi, I hope this post encouraged you to do so, and gave you an idea of what to look for while you’re there! Please let me know what you think if you go check out Aldi for the first time or try any of these products!! I’d love to hear your thoughts! Yay!! It’s the best! 🙂 thanks for reading! I loved this post! For many people the reason they don’t include nutrient dense foods in their intake is because of cost but I love how Aldi offers products that are nutritious and budget friendly! Hopefully you can reach people with your post to make them more aware of the affordable nutritious foods they can include on their grocery list! Just got back from there! I love their products! Me too! It’s the best!! These products are almost exactly what I buy every time I go to Aldi – glad to get the reaffirmation that they’re dietitian approved AND learn about some new ones that I haven’t seen before! Yay good for you!!! Sounds like you’re already on the right track. 🙂 I’m glad I was able to introduce you to some new things too! Thank you for reading! Thank you so much for this post and for including some recipes as well! 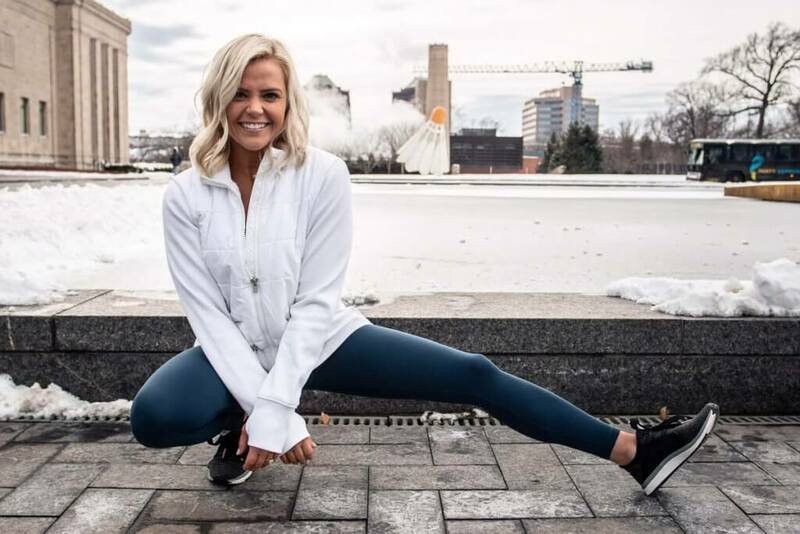 I see from reading your post you also go to Costco, and although I personally don’t have a membership my mom does and I can always ask her to pick us up something that I like there – especially their frozen salmon fillets! Have you tried the frozen ones from aldi? I bought some this week because I didn’t want to wait for my mom to go shopping, but I’m curious to see if you’ve tried them! Such a great post! I always buy these products when I go to Aldi! So much cheaper than other supermarket stores!